New litters are posted as soon as they come. Prices are on this page. Deposit and waiting list are on this page. How do you reserve a puppy??? Send me an email or phone me. Let me know which Puppy you want. Send a $ 500.00 deposit to put a reserve on a puppy. 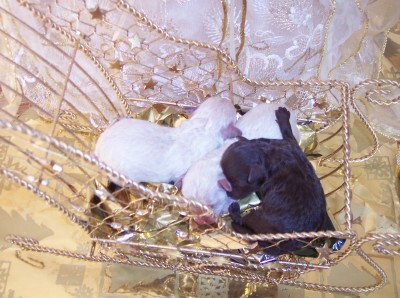 waiting list, when the new litters are born. 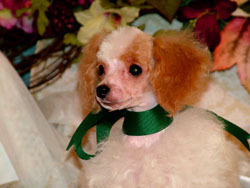 All Sizes are an estimate only… going by previous litters and the poodle weight chart. I cannot guarantee the mature weight and size. Teacups: 9" and smaller ...4.5 lbs and under. Toys and Tiny Toys can be shipped by 9 - 12 weeks of age. Teacups can be shipped by 12 - 16 weeks of age. I charge a $ 10.00 a day fee to Board your puppy. if they are still here when those come due. Past Deposits will be valid for two years from the date of receiving them. Unless you choose your pup this year…. 2017… last chance before losing your deposit. worth $ 1,150 of coverage ! 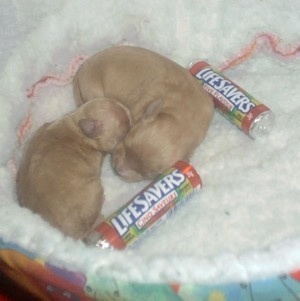 something that could help you save your puppy's life one day. Your coverage begins after only 48 hours (from the date and time you take your puppy home) and continues for 6 weeks. We pay for 80% of fees at any veterinary practice. You are responsible for the first $50 per condition (the deductible). If your puppy is lost or stolen, call us and we will help. In this unfortunate event we will share in your final costs. 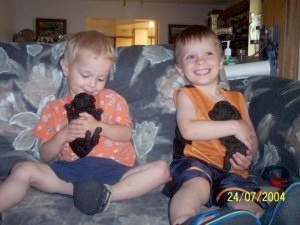 Watch for your complete Pet Plus Us voucher package to arrive shortly after your new puppy comes home. Pet Plus Us has many pet health insurance plans to protect your puppy for its entire lifetime. 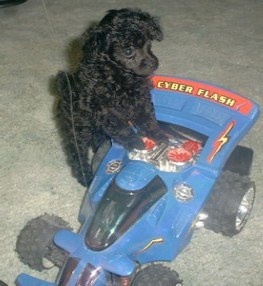 I have been breeding Toy Poodles since 1996. I try to make sure that each puppy goes to a good home, with people who will love and take care of them. We can air ship your puppies to you . At your cost, we will arrange shipment and shots (if necessary) and purchase a crate for your new baby and ship them at 9 - 16 weeks of age, if they are big enough. These cost can vary as to where the puppy goes. They come with their first shots, if International Shots OR Vet certificate are needed the charge will be assessed and applied to the total bill. 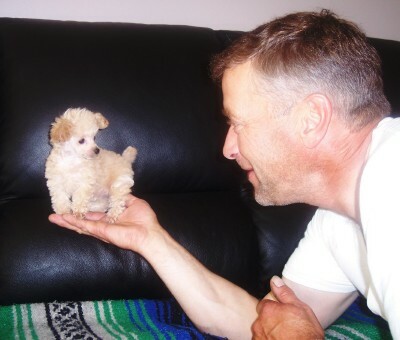 All expenses and the cost of the puppy must be paid by the time the pup is 7 - 8 weeks old and before I will ship a puppy.